Picks from LG, Maytag, Electrolux and Speed Queen. After more than 100 hours of research, we think that the LG WM3770HWA is the washing machine that will make the most people the happiest. Based on LG's great reputation over the past few years, this washer should be as reliable as any modern, efficient model can be. 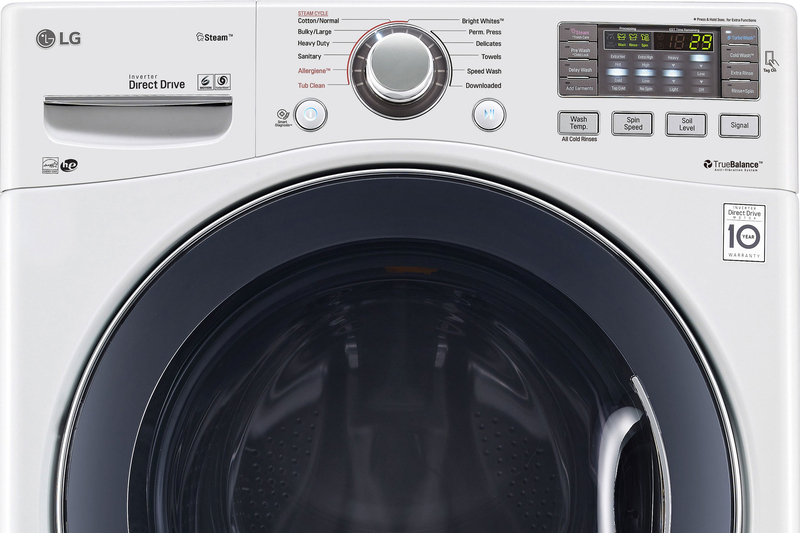 It also has some of the quickest cycle times of any washer and excellent cleaning performance. Since 2015 we've tracked 232 models, and about 114 of them are still currently available. To use these washers, you'll need access to hot and cold water hookups and somewhere to drain the washer. If you want a matching dryer, you'll also need a 220-volt outlet (or a gas line) and somewhere to hook up the ventilation hose. We also limited our scope to machines with a width of about 27 inches, the standard size in North America. Beyond those basics, we looked for washing machines with exemplary cleaning abilities, quick wash cycles, a prewash or soak option, a reputation for reliability, and efficient usage of both water and energy. You should be able to adjust water temperature and spin speed, and have both a heavy cycle for dirtier clothes and a delicates cycle for sensitive fabrics. And, of course, the best washers are sold by companies with reliable customer service. To read in detail about why we think these features are crucial, and to see which features we think you can safely ignore, please see our full guide to washing machines. The LG WM3770HWA is the best all-around washing machine for most people. LG makes the most reliable high-efficiency (HE) washers, and as far as we can tell, the WM3770HWA is one of them. It's one of the fastest washers you can get, with typical cycle times running about half as long as most HE washers. The cleaning performance is excellent even on the Normal cycle, and it also has cycles that are strong enough to kill bacteria and eliminate allergens. It's gentle on fabric and very efficient. We also think it's a little less likely to smell like mildew than most front-loaders. And, for what it's worth, the jingle that plays at the end of every cycle is super-pleasant and catchy. The WM3770HWA has both prewash and steam options, both of which can loosen stains before the main wash action kicks in. You can also add additional rinses, add a garment, or delay the start time. Though LG's customer service could certainly be better, we think the WM3770HWA offers the best balance of price, performance, reliability, and convenience you can get in a washing machine. 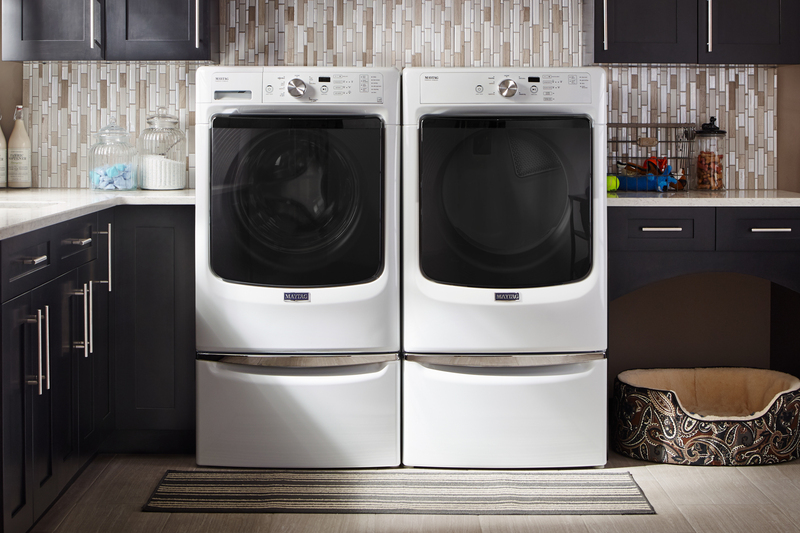 If you need the matching dryer, it's the DLEX3570W (electric) or DLGX3571W (gas). The Electrolux EFLS617SIW is another great washing machine. It's not our main pick because it tends to cost more, probably isn't as reliable, and is notably rougher on clothes. But it's the single best stain-remover, and among the most efficient washing machines we've seen. It's also one of few models with a reversible door. The secret to the EFLS617SIW's success is most likely the SmartBoost feature, which premixes detergent with the wash water before spraying it into the tub. In theory, every item should get washed equally, with no splurts of detergent wasted. Most front-loaders are excellent cleaners even without this feature, but if you want the very best, it seems to be the EFLS617SIW. 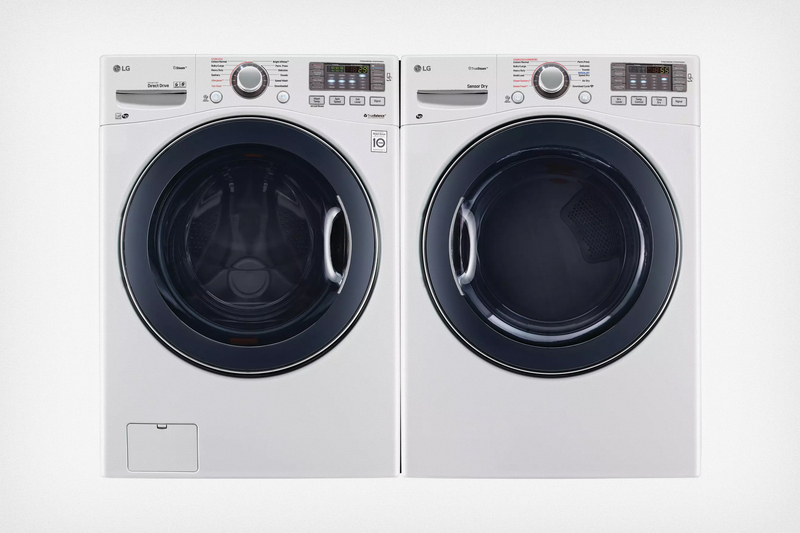 If you want a matching dryer, those are the electric EFME617SIW or gas-powered EFMG617SIW. If you're sold on the advantages of a front-loader but want to save some money, we think the Maytag MHW3505FW is your best bet. It doesn't have the speedy cycles and high-temperature cleaning options that our main pick does. It's a little more likely to need repairs. And it might also be rougher on clothes. But it's still an efficient, effective washer for a fair price, and its power-wash cycle is great at removing stains. If you want the matching dryer, it's the MED3500FW (electric) or MGD3500FW (gas). 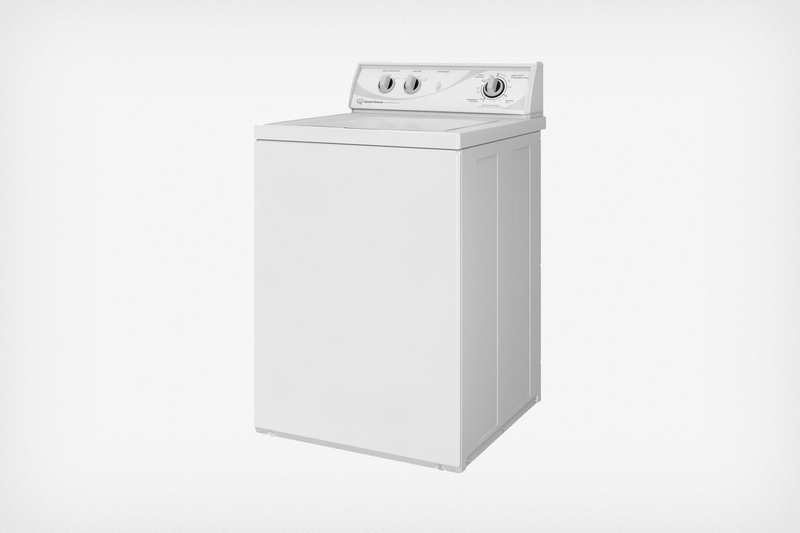 We think the LG WT7500CW is the best washer for people who want a top-loader. It's not our main pick because top-loaders have some built-in downsides (they're less efficient, effective, and gentle than front-loaders). But compared with other top-loaders, the WT7500CW has quicker and more powerful wash cycles. It also comes from LG, a company known for producing reliable high-efficiency (HE) top-loaders (subscription required). 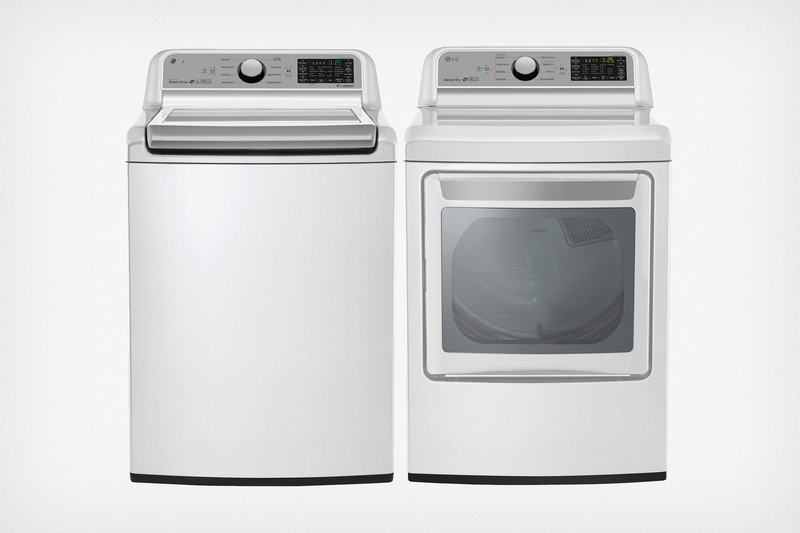 If you want a matching dryer, check out the LG DLEX7600WE. If you're not too thrilled about modern high-efficiency washers and have decided that you want an old-school machine, check out the Speed Queen AWN432SP113TW04. 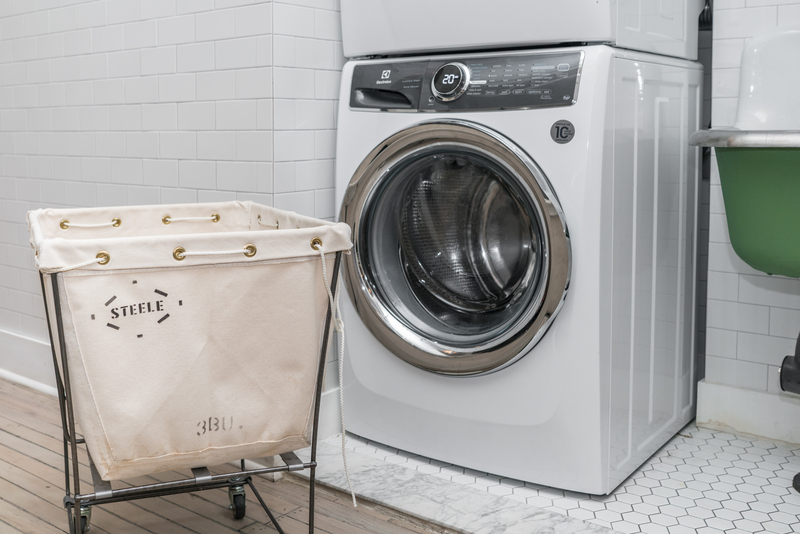 It's the sturdiest, longest-lasting residential washing machine you can buy. However, it's not our main pick because it's so inefficient that you'll probably spend more on water and energy over time than if you repair and replace HE washers as they break. Even on its most efficient setting, it uses nearly twice as much water per load as our top pick. But if longevity and reliability are the most important things you want from your washer, the AWN432SP113TW04 is as sturdy as they come. If you'd also like a matching dryer, it's the Speed Queen ADE3SRGS173TW01.